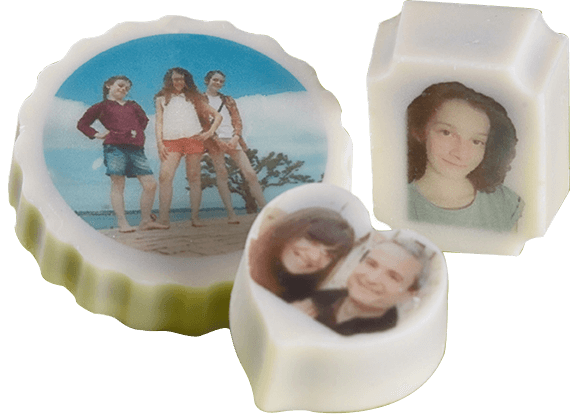 Why not personalise your chocolates for your company or association using a photo, lettering or logo? Pistachio, coffee, vanilla, raspberry, Grand Marnier, caramel, chestnut, pear, mint, lemon, Marc de Champagne, chocolate nibs or simply plain. A mouth-watering blend of hazelnuts and caramelised almonds, crushed into a smooth and crunchy paste. 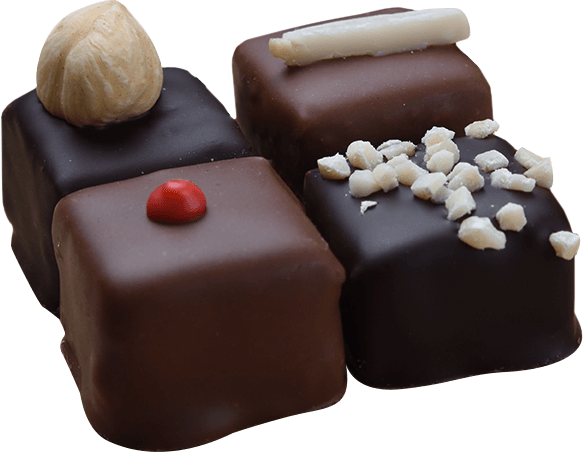 Noix (nut), Amandes (almond), Pervanche (periwinkle), Giandujas (gianduja), Nougat (nougat), Deux Pralinés (two pralines), Pate d’amande MARC de champagne (Marc de Champagne flavoured marzipan), Feuilletine, Palerme (Palermo), Noix de Coco (coconut) and Noisetine (hazelnut). 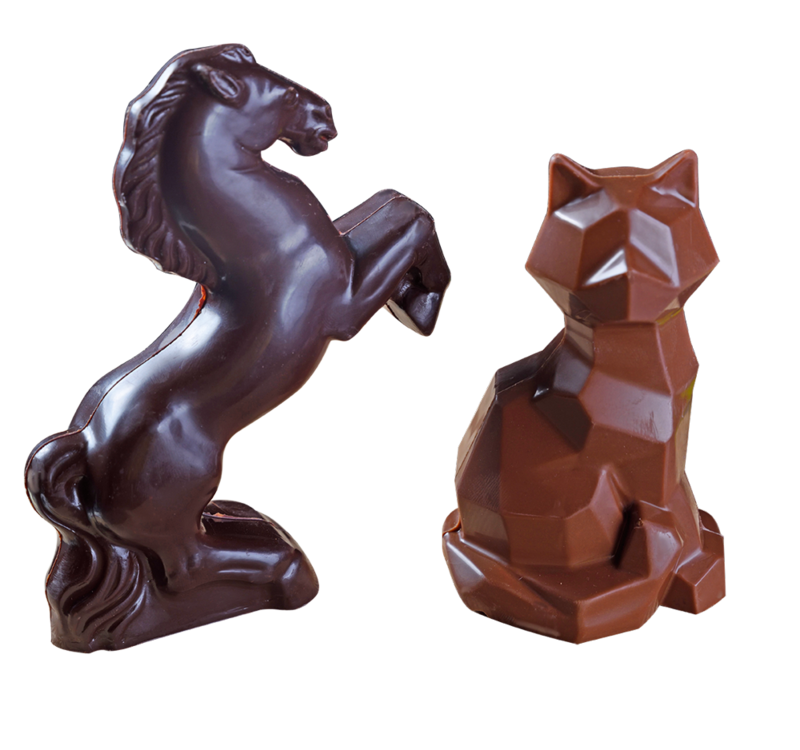 We can create custom-made chocolate moulds upon request, so you get exactly the chocolate you want. 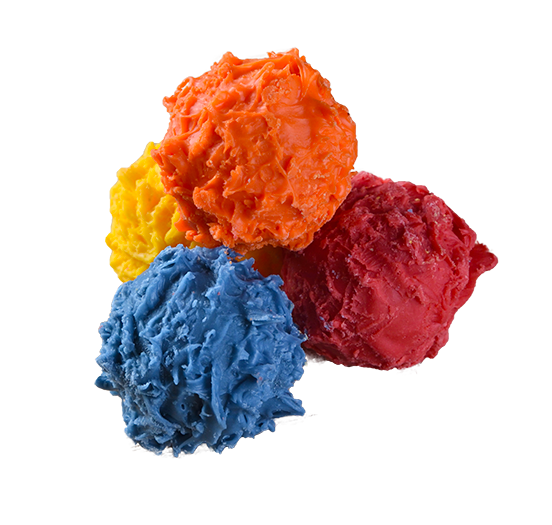 Perfect for celebrations, special occasions or personalised with your own message. Thanks to the latest technology and Véronique’s talent, we can render almost anything: your logo in 3D, an object, or even a character. 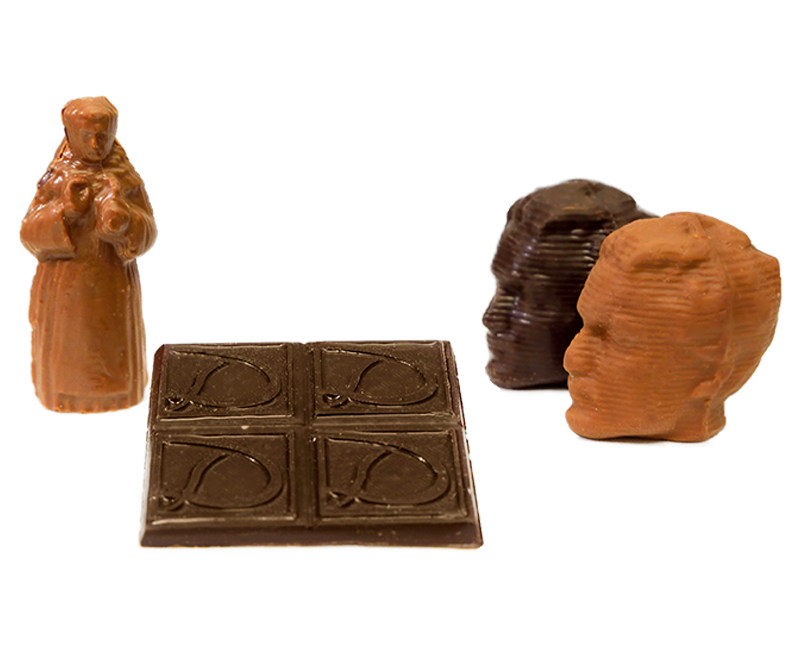 Creating personalised chocolates has never been so easy. We offer a wide range of sugared almonds to mark the special moments in your life: a wedding, christening, confirmation or birth. 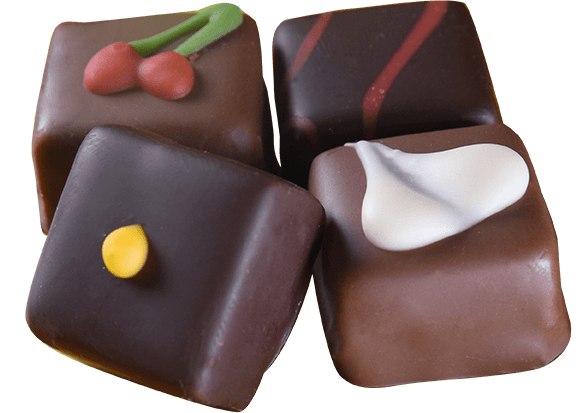 Our selection includes chocolate dragées as well as sugared almonds made with the best kernels: Ferraduel almonds from France, Avola almonds from Italy and Alsace almonds from Spain … all coated with a thin and crispy layer of sugar. 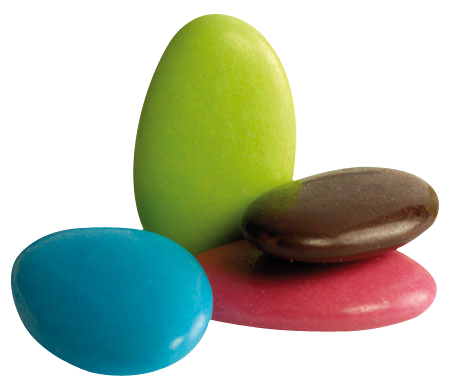 Don’t miss our selection of organic sugared almonds.